Drawing attention to the social and biological micro-dynamics at work in the massive physical encroachments of resource extraction and engineering, artist Ursula Biemann elaborates far-reaching territorial and climatic transformations in her videos. Her recent fieldwork has taken her to the Amazon and the Arctic region. 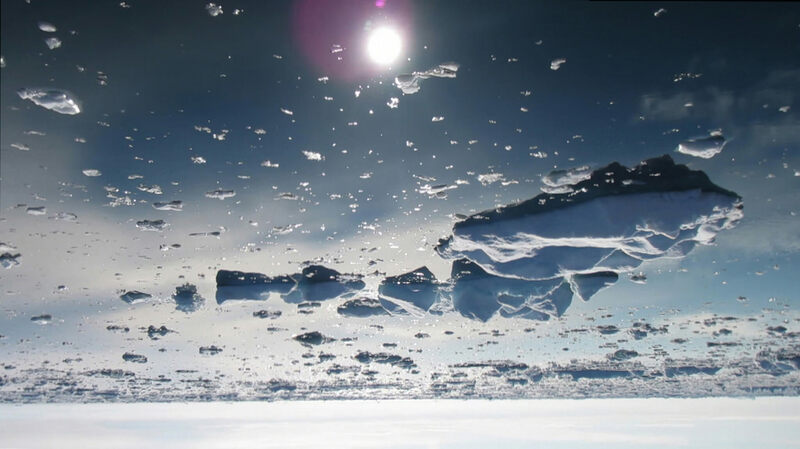 Engaging with the political ecology of oil, ice, and water, the artist interweaves vast cinematic landscapes with documentary footage, SF poetry, and academic findings to narrate a changing planetary reality. In this screening and presentation, Biemann will discuss her artistic practice in the projects Forest Law, Subatlantic, and Acoustic Ocean, raising questions regarding the entanglement of aesthetics, ecology, and geopolitics. This event is organized in collaboration with Independent Curators International (ICI) on the occasion of the exhibition The Ocean After Nature on view at Parsons School of Design / The New School (February 8 – April 17, 2018). For questions about accessibility at Anthology Film Archives, please email lou@swissinstitute.net. Ursula Biemann is an artist, author and video essayist based in Zurich, Switzerland. Her video installations are shown in museums and art biennials worldwide. She has had solo exhibitions at the Neuer Berliner Kunstverein n.b.k., BAK Utrecht, Bildmuseet Umea in Sweden, Helmhaus Zurich and has recently participated in the São Paulo Art Biennial (2016), the Sharjah Biennial (2017) and the upcoming Shanghai Biennial (2018). She is publisher of several books and founding members of the collaborative art and media project World of Matter. Biemann has a BFA from the School of Visual Arts and attended the Whitney ISP in New York (1988). She received a doctor honoris causa Humanities by the Swedish University Umea and the Prix Meret Oppenheim, the Swiss Grand Award for Art.